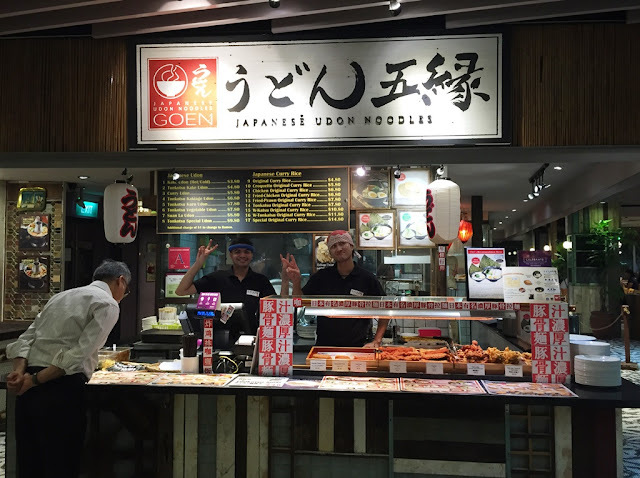 Strategically located within Wisma Atria Food Republic on level four, Udon GOEN stall can be easily spotted once you come up from the escalator. 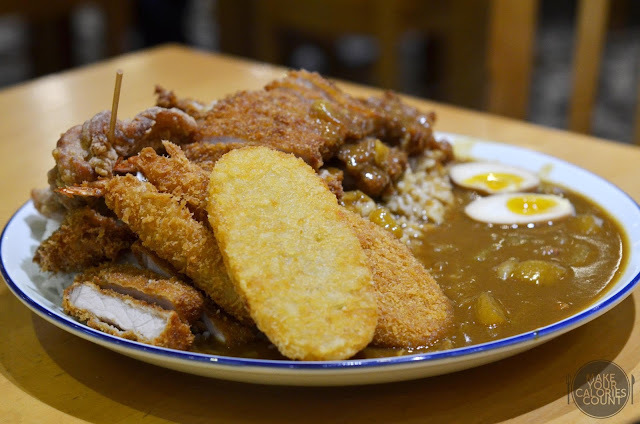 Following its first outlet at Vivocity Food Republic which offers a slightly different menu, Udon GOEN opened doors since last November and has new main to their menu - Japanese Tonkatsu Curry Rice. With that many competitors selling curry rice in Singapore, how could they differentiate themselves from the crowd and attract curry fans like us? What was the motive behind the concept of introducing a curry dish to its outlet at Wisma in such a saturated market? 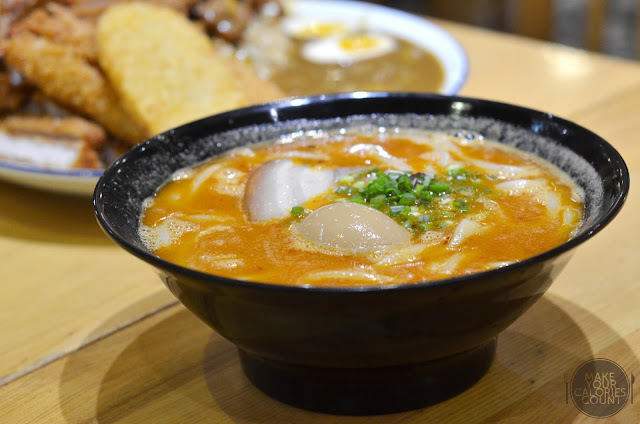 Unlike the typical Japanese curry rice, Udon GOEN blends tonkotsu broth which has simmered for more than 10 hours instead of diluting its curry gravy with water. The texture and taste of sauce was thick and rich in pork bone flavour. Given our penchant for spicy dishes, our only complaint was that the curry lacked robustness in heat. Expect to be blown away by an abundant plate of crispy fried delicacies to be served on a bed of generous portion of rice. Go for this ultimate dish if you want to try all of their ingredients and share with your friends or family, certainly a value-for-money satisfying platter to indulge. *Note that you can ask to refill the curry gravy and help yourself with the condiments such as cheese and garlic at the counter. You can also customise your own meal by adding-on your preferred items. 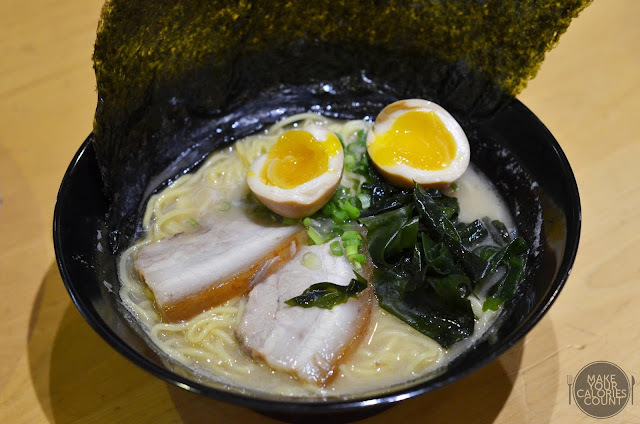 Another delight was their tonkotsu noodle bowl, we chose the ramen option as recommended to better absorb the essence of the broth. As mentioned, the homemade tonkotsu broth was boiled for more than 10 hours. We enjoyed the richness in flavour and the viscosity of the gorgeous broth though it may be a touch too strong for the light-weight! 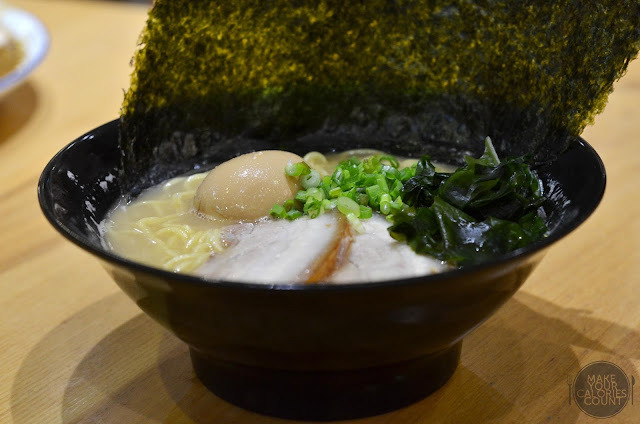 Accompanied by the perfectly cooked soft-boiled egg and succulent pork belly, this ramen is a close contender for some of our favourites in Singapore such as Ippudo and Sanpoutei. An exotic rendition of Japanese noodle in Chinese hot and sour soup, the udon we opted for was springy and delicate. 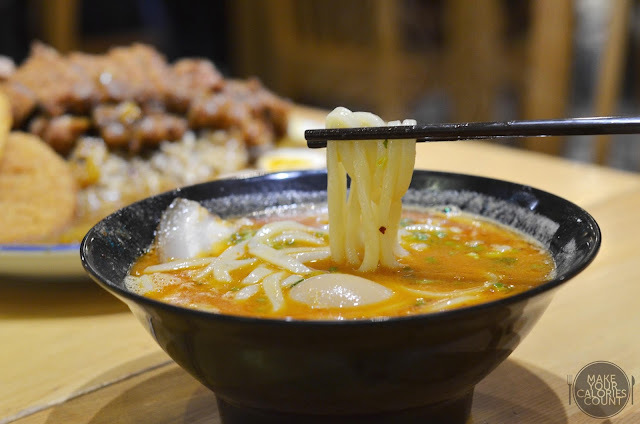 While the broth was easy to consume due to the mild sourness and spiciness, some would argue that the flavours were not distinctly bold enough for a stronger punch. Then again, taste is a very subjective matter! 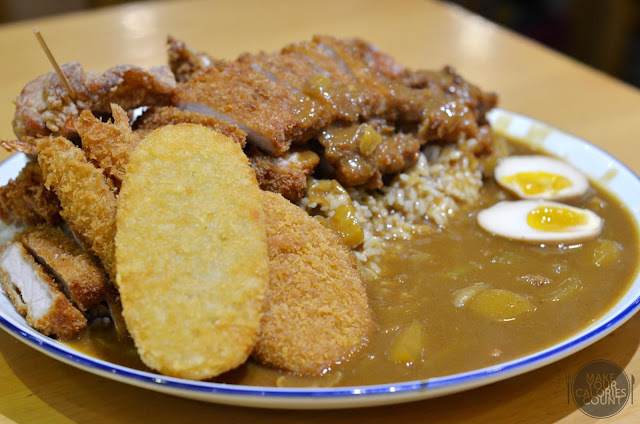 With a noodle bowl starting from an affordable price of S$3.80, a plate of normal curry rice S$4.80 and big size curry rice S$10.80, it's definitely a stall that you should give a shot while dining at Food Republic Wisma Atria. P.S: Special thanks to Fazirah for the invitation and hosting us!